Any of you, gamers out there who have dabbled into the tower defense genre knows that some of these can be tough, while others are a breeze. The most basic form of this genre is the age-old rock-paper-scissors. 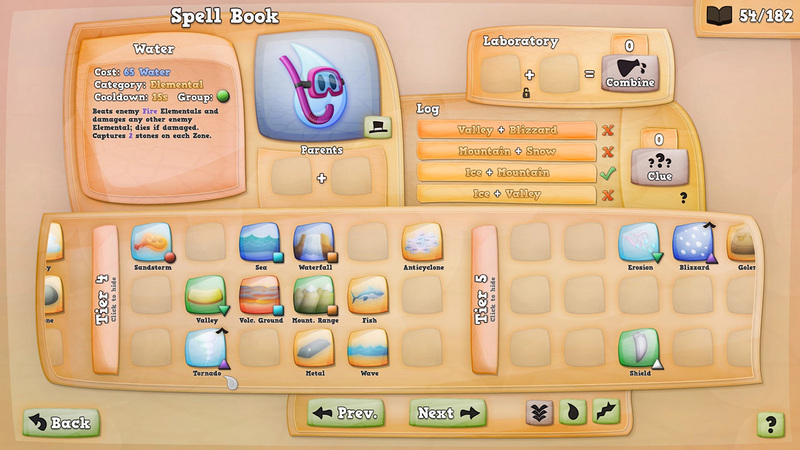 Combined with a clear understanding of chemistry and adding in RPG elements through a deck-building mechanism, you’ll arrive at Alchemic Jousts. It is a little game that hides among the many in the e-shop, but one you should definitely have a look at. Let’s dive right in! Alchemic Jousts doesn’t feature much of a story to be remembered for, but the game is draped by goodness. From the graphical prowess to the gameplay it is an absolute blast to play trough. What really shines in this game is the system of upgrades, unlocking passives, active skills, enchants, buffs, disguises, global effects, spells, etc. is key in raking up victories. The way in which you unlock all of the above is as inventive as it is based on real-world chemistry. 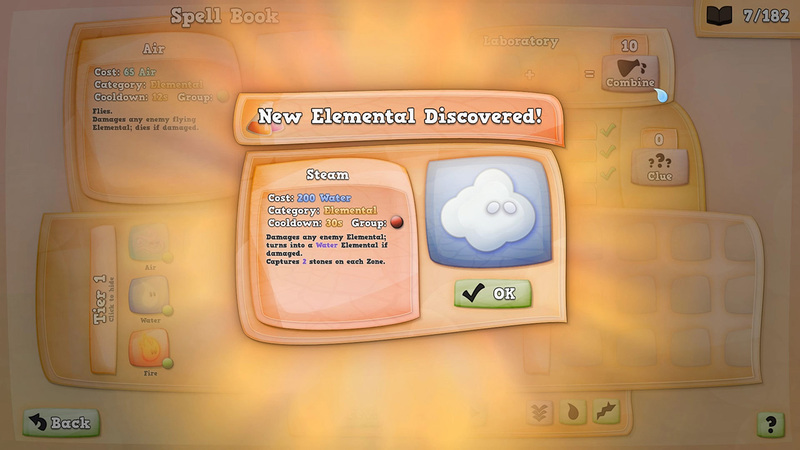 Throw water and fire elementals into an Erlenmeyer flask inside the lab and see a new elemental Steam coming out. Create a Shadow by merging Light and Cloud elementals, and so on. In total there are over 180 of these little secrets to discover. There is little to no logging of the tried experiments in the lab, though, so remembrance, logic, and carefully checking your previous results is important if you don’t want to redo the same tests again and again. Failing an experiment, then there’s always a nice remark thrown your way which is a really neat feat. Something the developer did not have to do but went out of its way adding in that little charm. The game starts off rather calmly with easy-to-defeat opponents, teaching you the controls and mechanisms of this tower defense game, as well as getting you familiar with the different battle modes, from an outright tower-vs-tower match to a king-of-the-hill scenario, and more. This is all fair and square, and within no time I had a blast battling my way through the campaign, only to be halted right after clearing the mid-point match. Don’t get fooled by its cute looks! The spike in difficulty is one you won’t find in many games, as it felt like a night and day situation. Whereas I battled my way through the first half of the campaign, mostly in single runs, the first battle following the mid-point pushed me to keep trying some good many times over. I welcome a challenge and I don’t shirk away from a steeper learning curve, but this specific point in the game did feel unbalanced in my experience. While during the battles the actions mapped to the various buttons of the Joy Cons worked well and rather intuitive, the controls in the menus seem to be a bit off by leaning heavily on the use of the X and Y buttons, whereas A and B would be much more intuitive. It left me with a feeling that the game has been ported to the Nintendo Switch without carefully considering the general play-style, or the default button schemes usually employed on a Nintendo controller. Having played Nintendo consoles for most of my life, I found myself pressing the wrong buttons to confirm a certain action in the menus, or backing out, even after putting in quite a lot of hours into the game already. Something that absolutely could have helped out here is the use of the Switch’ touch screen, at least in handheld mode. On the topic of menus, these are immense and overwhelming, both in terms of content and presentation. I love games in which statistics really do matter, and where the player is able to upgrade their abilities and skills along the way and this is a big up for Alchemic Jousts. With this, however, comes a big caveat, as this bulk of content is displayed more or less all at once, which, unfortunately, results in a very small print of all the data on screen. I wish the developer had chosen to spread out the content instead, paying more attention to the experience of the player, instead of focusing on the game’s presentation an sich. The sounds are absolutely lovely and jell with the animated characters. As much as I want to win every battle, and trust me, I do, it pains me to see those little jellos pop out of existence the moment they get defeated in battle or sacrifice themselves in damaging my opponent’s tower structure. The spells that are cast are accompanied by great sounds effects too, while in the background a nice tune rolls along. The visuals are stunning and really pop on the Nintendo Switch’s screen. The animations of the various spells being thrown around are gorgeous and on the whole, the game looks like a current generation cartoon. Playing through the game mostly in handheld mode, I found no performance issues, no matter how intense the matches got. 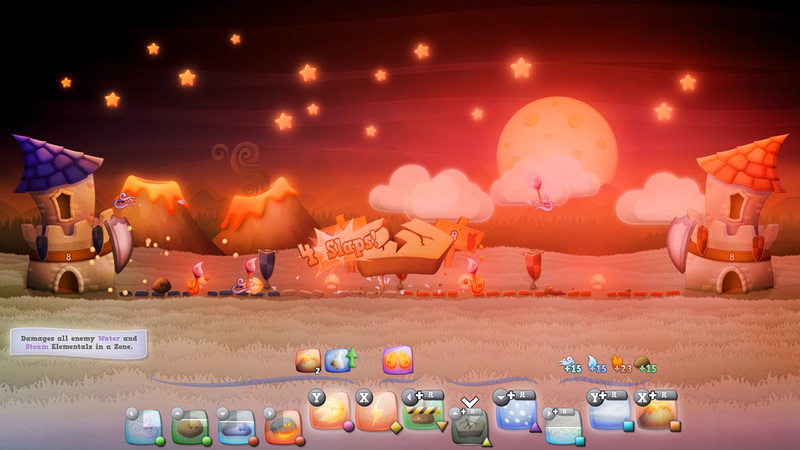 Alchemic Jousts manages to excite me and leaves me satisfied with what it offers. It has very sound battle mechanics, in which logic and reasoning always wins the battle, even though enemies keep throwing those annoying spells your way, there is always a way to battle through. Unlock the numerous abilities as you play through the campaign and build a stronger deck for the next battle up ahead. There are tons of things for you to discover in this game, and the various game modes keep the game fresh every time you do battle. 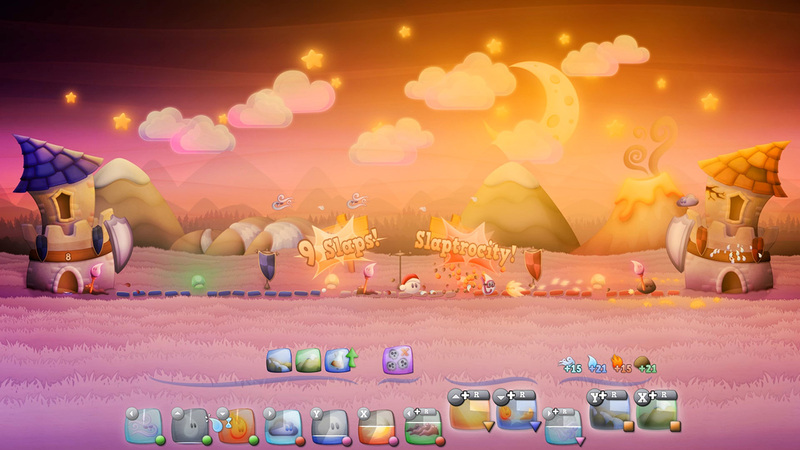 Graphically the game is stunning with cute characters, dynamic environments and great coloring. The music and sound effects manage to amplify the quality content Alchemic Jousts has to offer. The controls leave definite room for improvement, and there seems to be less focus on the readability of the main menus, which is a shame to this otherwise great game. 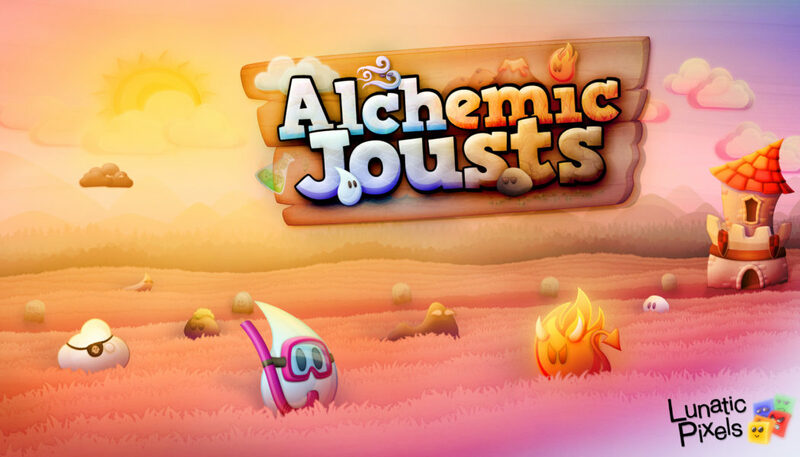 For those of you who have not played this game yet, treat yourself and buy a copy today, as Alchemic Jousts is set to be a future hidden gem in the Nintendo Switch’ library of games.